Bulldog Mastiff Mix god is not a pure breed. It is originated by the crossing of Bulldog and Mastiff dog. It can any type of Bulldog such as American Pit Bull Terrier, Bull Terrier or American Bulldog. 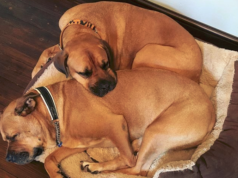 Similar is the case with the Mastiff dog. 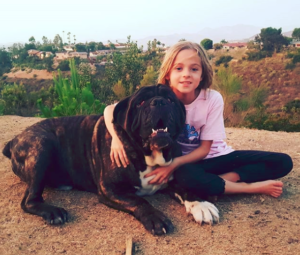 The parent Mastiff dog can be Bullmastiff, Neapolitan Mastiff or the Old English Mastiff. This hybrid dog breed is known to have many of the traits of their parent dogs. It is also popular with the name of Amerian Bandogge Mastiff. 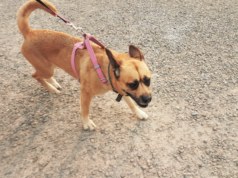 The major areas of interest about this hybrid dog breed are Bulldog Mastiff Mix Appearance, Bulldog Mastiff Mix Weight and Height, Colors of Bulldog Mastiff Mix, Average Lifespan of Bulldog Mastiff Mix, and Diseases in Bulldog Mastiff Mix. Let’s figure out the details about these in this pet guide. It is a dog breed with triangular ears and wide eyes, The body is muscular, large, massive and powerful. 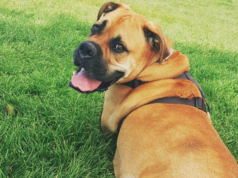 The jaws of Bulldog Mastiff Mix are strong and body is well proportioned. In addition to the this, this pet seems to have the overhanging lips. These are docile and confident dogs. They behave well with other pets in presence of owners while in the absence of the owner, they howl too much. Hence, the owner needs to be vigilant about the training of his beloved pet. Swinford Bandog is also the name of this dog breed. It has a dense, short and thick coat. The weight of Bulldog Mastiff Mix can reach up to 140 pounds. While the height of this dog breed is usually more than 25 inches. Feed the dog properly and avoid giving artificial supplements. These are loyal and intelligent dogs which are shown to have good behavior towards kids. Coat colors are the important features of the dog breed. In the selection of pet, characteristic plays the key role. Afterward, coat colors are considered to be an important parameter of selection. You can get this hybrid dog in any of these coat colors such as fawn, brindle, black, red and blue. The more the average lifespan of the pet would be, the more it becomes desirable. This hybrid dog accompanies its owner and proves his loyalty towards him for approximately 10 years. Afterward, the majority of the dogs die. Their shedding is average and temperament is gentle. Its usual litter size is about 2 to 5 puppies simultaneously. These were originated in the USA and are found to be hypoallergenic dogs. 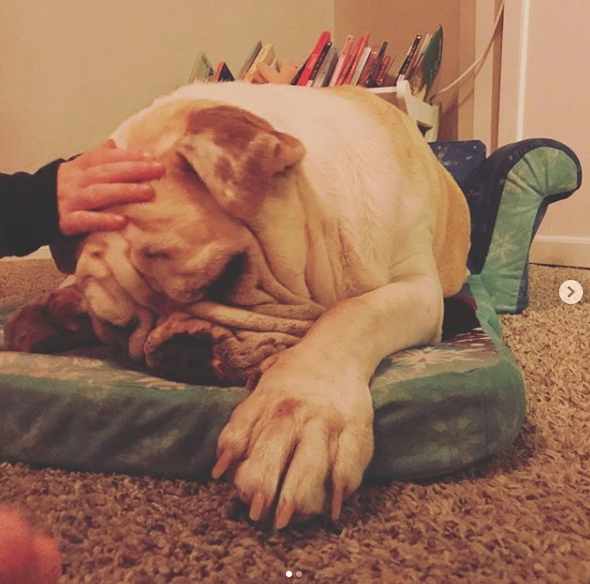 Common health issues of Bulldog Mastiff Mis are skin problems, epilepsy, cancer, eye disorders, thyroiditis, bloating, hip dysplasia and elbow dysplasia. Great Dane Bullmastiff is a wonderful pet to be purchased. Read the article to know the interesting facts about this pet. Say goodbye to all the troubles that hinder you to sell your dog. You can sell it quite easily by approaching us. Get it advertised on our website and meet the right buyer instantly!